When it comes to getting a good night’s sleep, it really starts with the pillow. You’ve probably had yours way too long and it’s time to replace that sucker. 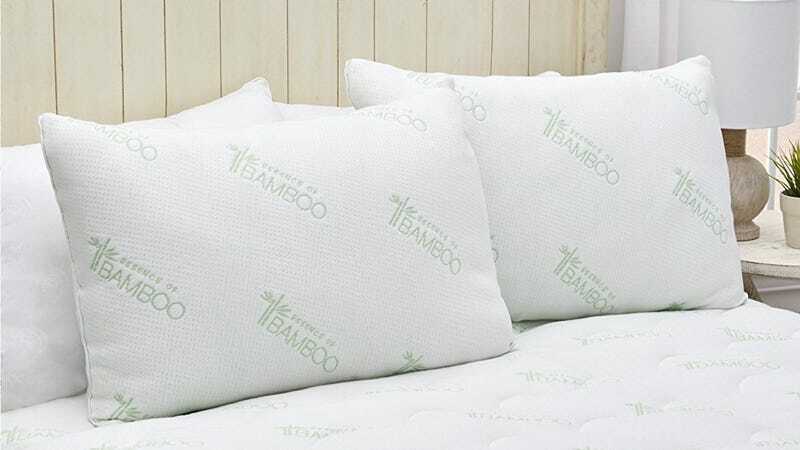 Amazon’s Gold Box is (down alternative) filled with highly-rated Essence of Bamboo pillows with multiple fill options for less than $20 per pillow. Just don’t sleep on this deal, because it’s gone at the end of the day.